Writing is a one method to save our knowledge. Using this method, we can produce - let say - books. Along with advances in technology, we can convert paper into file. Since the speed of Internet is becoming faster, video is more preferable. 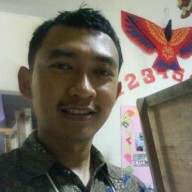 For some cases, I prefer to watch video than reading. Then, now video recording is one the method to save and share our knowledge's to others. If you are using Linux, there is a video recording tool to help you. The tool is named Asciinema. 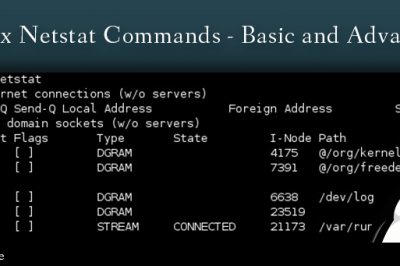 A video which is created using Asciinema software is called Asciicast. While Asciinema support most of Linux distribution, this article shows you how to install Asciinema using Ubuntu Linux 16.04 edition. 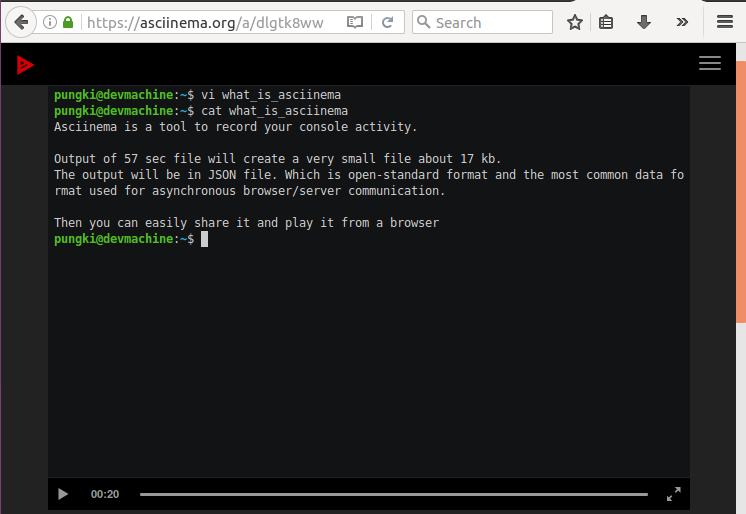 Using Asciinema is very easy. 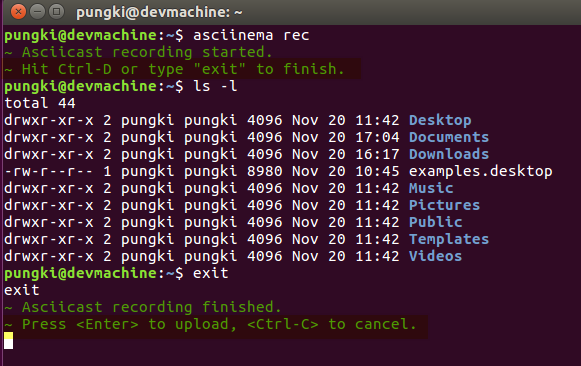 Once Asciinema installed, you can start recording by typing this command on your terminal. Once you run the command, you can immediately start recording. Any typing activity on your terminal will be recorded. When you are done, just press Ctrl-D to stop recording. It will save your recording file into /home/user/ directory with yourfilename.json file. How about the size of the recording file? A recorded file with 53 seconds length is about 17Kb. 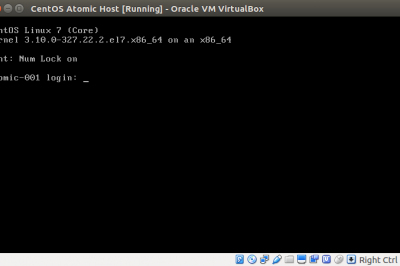 After we successfully create an asciicast file, the next thing we want to do is to play it. There are some methods how to play it. The video will play immediately. Third, you can play it remotely. When you create a video recording file, normally you will create it on your local file. Then after you are sure about the content and quality, you may want to upload it to asciinema.org website. Wait until a link to play it appear. Then copy-paste the link into your browser to play it. 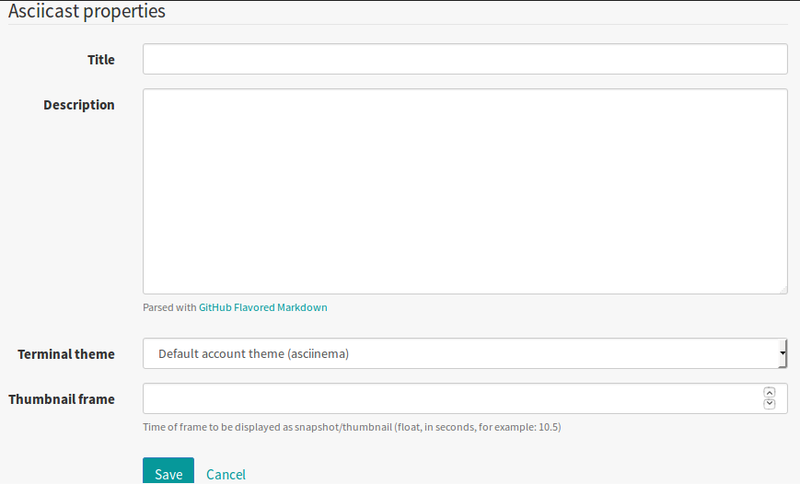 If you want to manage what you have upload to asciinema.org website, then you need to use auth parameter. But first, you need to login to asciinema.org. Once you logged in, you will see how many video you have uploaded. For those who like or want to documenting your console activity, for any reasons, asciinema offers us a great and easy tool. A lightweight application, easy to use, using an open-standard format file, and easy to share.